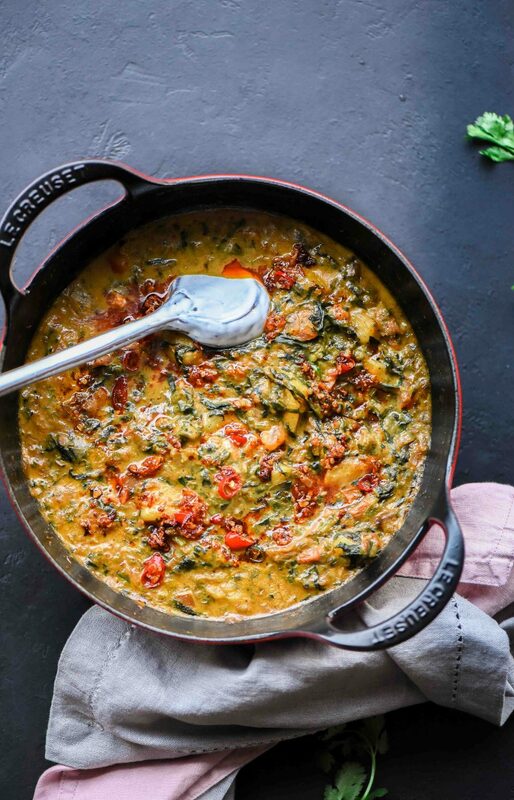 This “Rustic Spinach Potato Curry” is one of my go to curries when I want that extra something, that comfort with just simple rice or bhakri (sorghum flatbread). I love spinach actually I love all green, leafy vegetables, I can live on them! I reckon leafy vegetables like spinach, fenugreek they adapt flavours so well. 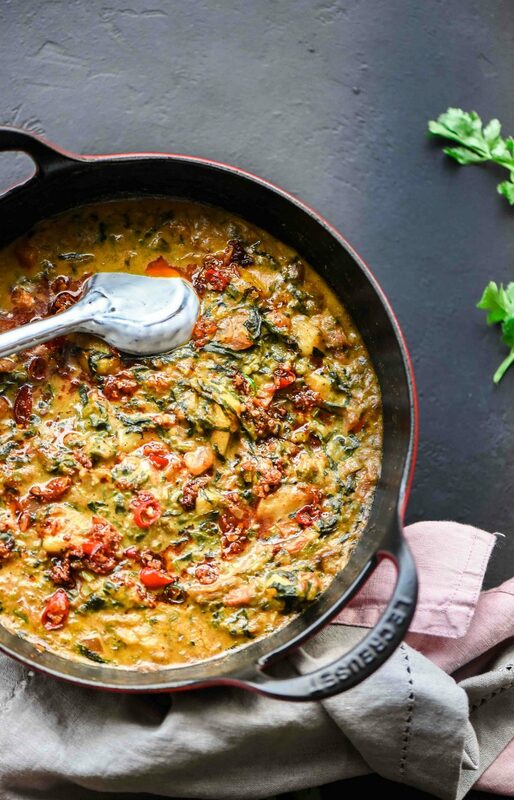 For this flavourful Rustic Spinach Curry I added some spices like nigella seeds, fennel seeds some of my favourites spices and drizzled some chilli butter on the top. 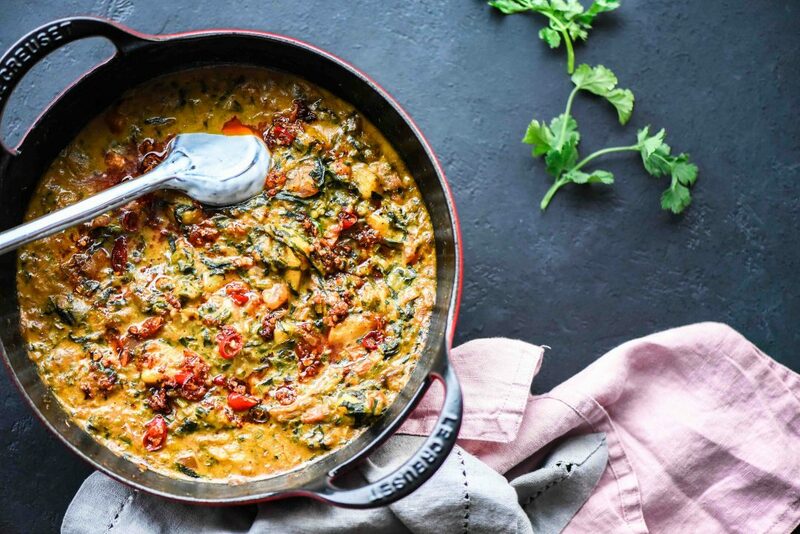 Trust me you will love all these delicious flavours in this dish and it is so easy to make. 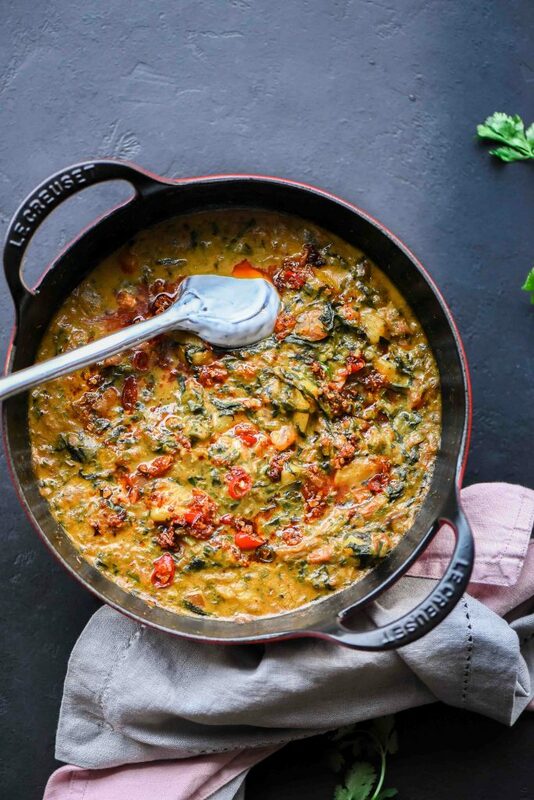 I usually serve this “Rustic Spinach Potato Curry” with bhakri (sorghum flatbread) or rotis but it also goes really well with just simple plain rice with ghee. Now to make this curry I used my “Golden Ghee” and mustard oil but if you wish to keep it vegan you can just use the mustard oil. 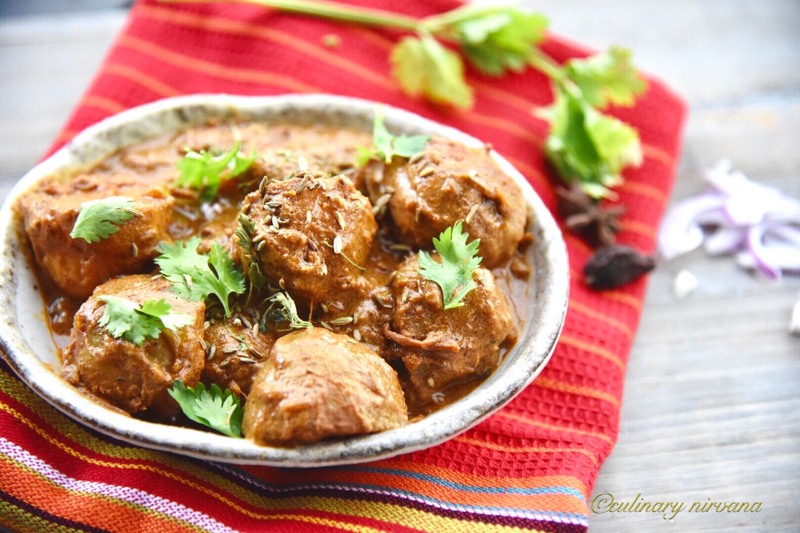 But my golden ghee gives this dish that extra flavour so do give it a try! A tip: I like to garnish this curry with temparing. 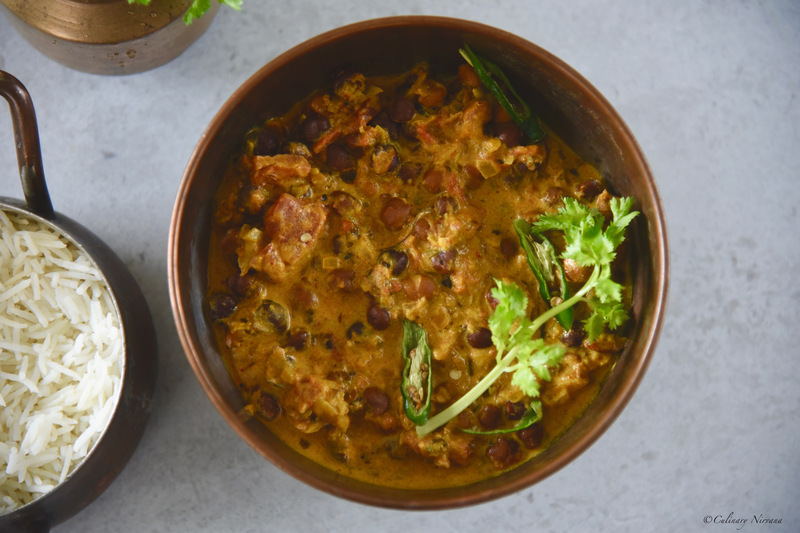 I make this temparing just before I serve this curry so it doesn’t become too pungent and gives a burnt taste. So this is how you make this delicious dish! Heat ghee, add in the garlic and let it become golden. Add in the chillies and let them become a bit crispy, make sure the flame is low so they don’t burn. Turn the gas off and add red chilli powder and asafoetida. Pour this temparing over the curry just before serving. Heat mustard oil, add in the whole spices mentioned above with garlic cloves. Saute for a minute and add in the coriander with stalks, saute for 2 minutes till the garlic is golden brown. Add in the shallots and onion with chillies and turmeric powder. Saute for 5 minutes or till the onion is golden brown. Add in the spice powders and ½ of the tomatoes, cook for 2 more minutes. Now add in the yoghurt, keep stirring it so it doesn’t break. Cook till the tomatoes and yoghurt is properly cooked. Add in the potatoes, saute till the potatoes are nicely coated with this mixture. Now add the spinach, cover the pan for a minute to wilt it. Add in the coconut milk with some water and rest of the tomatoes. Cook for 5 minutes. 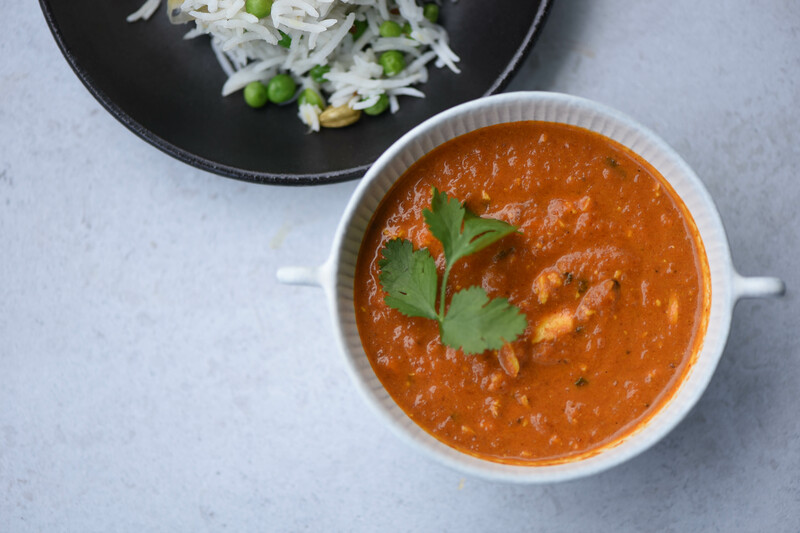 Pour the temparing over the curry and serve hot with whatever you fancy!